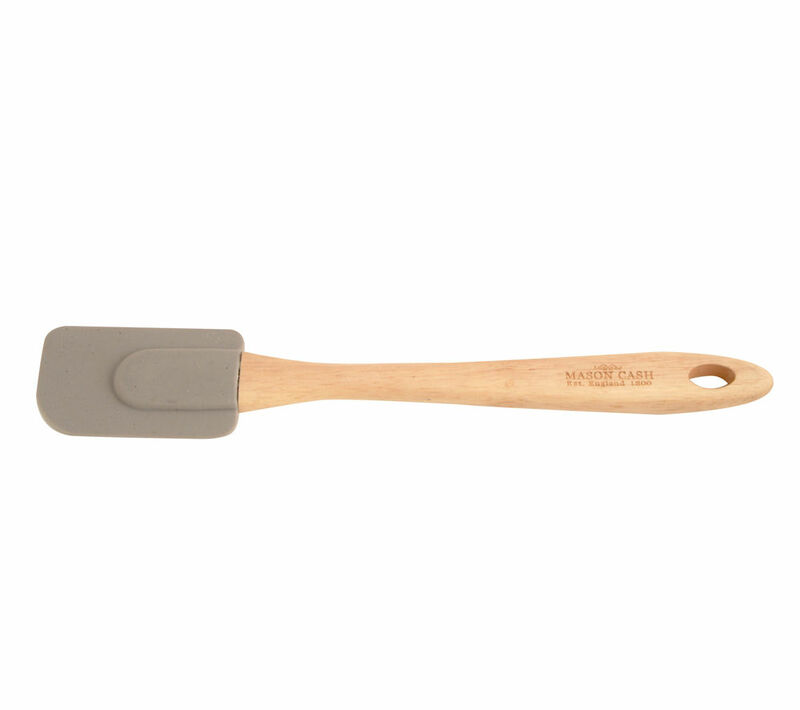 The Mason Cash Elite Beech Spatula is a comfortable to use, practical cooking aid. Rest assured that the Elite Beech Spatula has been approved by the Forest Stewardship Council, who promote responsible management of the world's forest areas and trees – great for the environmentally friendly chef. As an added bonus, the classic design looks great in any contemporary or rustically styled kitchen. The hanging solution loop means it is easy to store, and put on display amongst your other utensils – the minimal design means it is sure to fit right in. What's more, with a thumb grip embedded into the comfortable handle, you can't go wrong. Enjoy stirring, flipping and spreading your favourite recipes with the Mason Cash Elite Beech Spatula.